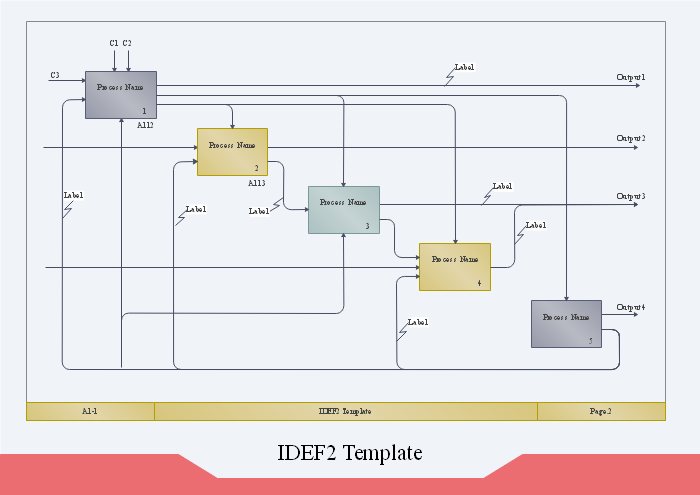 Learn how to create IDEF2 diagrams within a few steps with the help of a large set of IDEF2 Diagram symbols and elements. Examples that are available for customizing will help you get an eazy start. IDEF2 (Simulation model design) is one of the most commonly used process moedling method of IDEF system. IDEF2 is a graphical simulation model design tool that works as a language for representing models of the time varying behavior of resources in a manufacturing system. Compared to other methods of the IDEF system, IDEF2 methods focus on improving the productivity for the simulation modeler. IDEF2 (The third IDEF) was originally used as an user interface modeling method. But because the Integrated Computer-Aided Manufacturing (ICAM) program needed a simulation modeling tool, and the resulting IDEF2 was a method for representing the time varying behavior of resources in a manufacturing system, thus IDEF2 is now works as a graphical specification language with a computable interpretation. 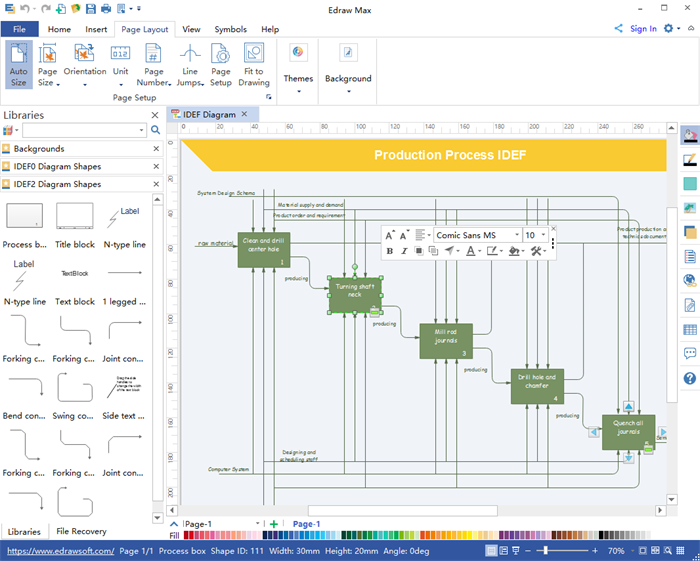 Edraw, a professional IDEF diagram software, can help create effective IDEF2 diagrams and other business diagrams with rich symbols and examples. 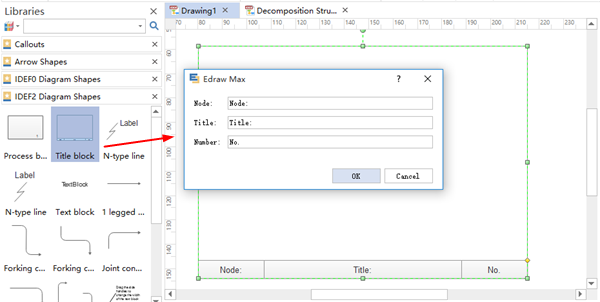 With all the elements needed in an IDEF2 diagram, such as process boxes, different types of lines and all kinds of connectors, Edraw can help draw an effective IDEF2 diagram easiyly and quickly. 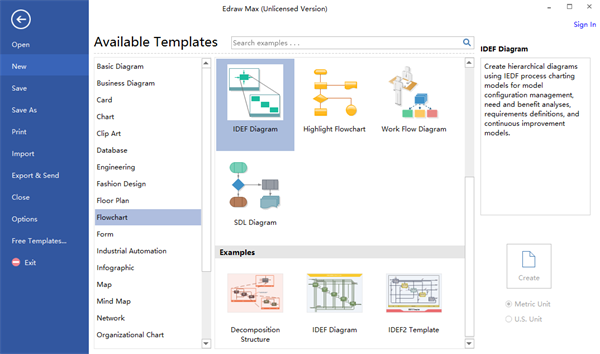 Follow the steps below to start create your own IDEF2 diagrams. Start Edraw and open a new drawing page for your IDEF2 diagram design, go to Available Templates - Flowchart - IDEF Diagram. Double click to start designing your own IDEF2 diagram or click on the example down below to use it as template and then customize your own. When designing an IDEF2 diagram, let's started with the Diagram title blocks. Simply drag and drop the title block for the library on the left to the canvas. 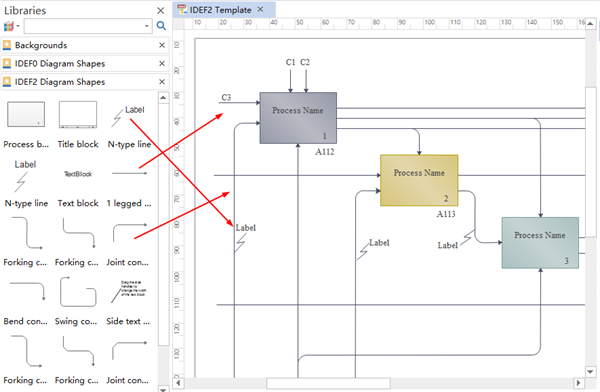 Adjust the size of the title block for your IDEF2 diagram. Drag and drop process boxes from the library into the title block, each box represents a certain function such as activities, actions, or processes. Use the various types of connector from the library on the left to connect the process boxes together. Connection dots will appear automatically, which makes it easier for you to adjust the connector. Use Label to specify the connection between each process. Make sure your IDEF2 diagram is logical and easy to read. Size, color, position of the process boxes and background of the diagram are all editable. Use your imagination! 1. 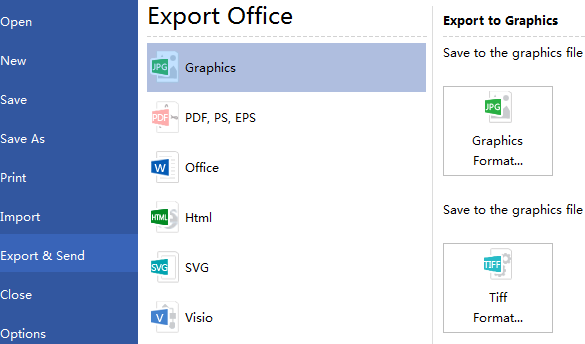 Under the "File" tab, hit "Save" to save your IDEF2 diagram as the default format .eddx, or click on "Save as" under "File" tab to save as other formats. 2. Click "Export & Send" under "File" tab to export the IDEF2 diagram to other formats including PowerPoint, JPG, PDF and so on.